​From the first published works, to the latest available stories - check them all out here! 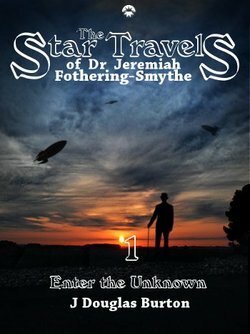 I started my self-publishing career with "The Star Travels of Dr. Jeremiah Fothering-Smythe". A series of pulp SF novellas that would come out once a month. I continued the series for six installments before wrapping it up, then releasing a paperback of all the stories together (alongside a Kindle version). I had written some other novellas along the way, but was eager to delve into full-length novels. The first one I had planned was too complex and had to be postponed. But my great love was this six-book series of YA fantasy novels I would come to title "The Sleepwar Saga". 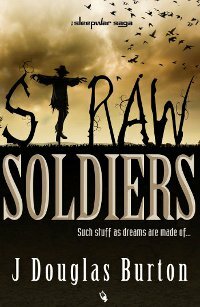 The series began with "Straw Soldiers" and now continues in "Red Cross". A series of YA novels. Six teenagers across America find themselves together when they are asleep. But this is no dream; a war is being waged between two supernatural powers, and they are the pawns in this game. Kaz Harper wants a normal life. To stay home and play her video games. A pulp SF series of novellas about the stellar journeys of a Victorian gentleman who is looking for a way back home. In a creepy hospital in Baltimore, he and his friends must find a special little boy - before the other side takes him out. ﻿A horror novella. For anyone who has ever lain awake at night, wondering - fearing - what lurks underneath their bed.